Even though dentures are different from a person’s original teeth, it is still very important to take care of your oral health once you switch to dentures. To do this, you must first continue to brush every morning. Using a brush with soft bristles, you should brush your gums, tongue and palate to get rid of any plaque that may have settled in your mouth. Brushing also helps a person’s circulation, so it should not be skipped once dentures are worn. Second, pay attention to what you eat. Maintaining a healthy, balanced diet is a good way to ensure oral health, regardless of whether a person has dentures or not. Finally, denture-wearers must still visit the dentist regularly. Many people make the mistake of thinking they no longer need to go to the dentist once their teeth have been removed. This is not true. The American Dental Association explains that a dentist must still check patients’ mouths for the presence of oral diseases or cancer. A dentist can also monitor the fit of dentures to make sure the patient is comfortable and has no problems eating or talking. 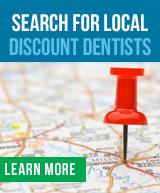 To determine how often you need to visit the discount dentist, just ask him. It differs for everyone, and your dentist will be able to advise you of a proper schedule. By following these tips, you can continue to enjoy a healthy smile long into your denture years. In the event that you need dentures, you will likely be faced with a choice between conventional dentures and immediate dentures. As the name implies, immediate dentures are inserted right after the natural teeth are removed from the gums. Conventional dentures, on the other hand, are not inserted for about six to eight weeks, once the gums have healed. According to the American Dental Association, dentists conduct a preliminary visit in order to make models of a patient’s jaws for immediate dentures. These dentures are helpful because the wearer does not have to go without teeth for weeks while waiting for the gums to heal. However, one disadvantage is that gums and bones can shrink over time, requiring people to get immediate dentures refitted. Talk to a knowledgeable dentist on your discount dental plan to figure out which option is better for you. When a dentist recommends a patient be fitted for dentures, he may recommend a type of denture called an “overdenture.” Overdentures are geared toward people who still have some of their original teeth, implants, or roots because they use these original teeth as anchors. Overdentures are sometimes preferred to regular dentures because they can help reduce bone loss and create a more secure denture. In order to create overdentures, a dentist must first prepare the remaining teeth or roots by removing any traces of infection and, in some cases, strengthening them with metal caps. This typically requires a root canal treatment. Then, impressions are taken to ensure that the dentures fit the shape and curvature of the wearer’s mouth. At first, the person may experience difficulty chewing and speaking, but in time, the dentures will feel natural. Remember: Oral health is key at any age, but it is particularly crucial during older adulthood as more problems begin to manifest. Talk to your True Care dental plan dentist about the best type of dentures for your mouth and lifestyle. Taking this first step can lead to a lifetime of good oral health. If you have ever had an extended stay at the hospital and been on antibiotics, you may have experienced “thrush,” also called oral candidiasis. Thrush is a fungal infection that appears on the tongue, mouth, or throat and is caused by an overgrowth of normal yeast in the mouth. According to the U.S. Department of Health and Human Services, people who have a weak immune system, take antibiotics or have trouble producing saliva are all at increased risk of developing thrush. This infection is also common in the very young and elderly, people with dry mouth, and people who wear dentures. In the case of dentures, experts recommend always cleaning and removing them before going to bed. According to the Mayo Clinic, symptoms of thrush include creamy, white lesions on the tongue, inner cheeks, or roof of the mouth. Some people also experience cracking at the corners of their lips, a loss of taste, and a “cottony” feeling in their mouth. Treatments range from taking antifungal mouthwash to lozenges, although medicines may also be prescribed if the infection spreads. If you suspect you or someone in your family may have thrush, contact your doctor or a dentist on your True Care Advantage discount dental plan for more information about its symptoms and causes. Left untreated, thrush can become a serious health issue, so be proactive and take care of it at the first sign of infection. If you are struggling with any of these issues, do not be afraid to talk to a dentist on your True Care Advantage discount dental plan. He or she can give you helpful strategies for adjusting to your new dentures, including speaking more slowly, repositioning them by biting down and swallowing, chewing with both sides of your mouth simultaneously, and eating soft foods cut into small pieces. All of these issues are temporary and will fade after continued use of your dentures. Don’t give up, and don’t be afraid to ask for help!